Many of the 250 or so volumes published since 2000 in my collection are primarily in the range of 8.5 x 6 inches to 9 x 6 inches. Evie Shockley's books are different. 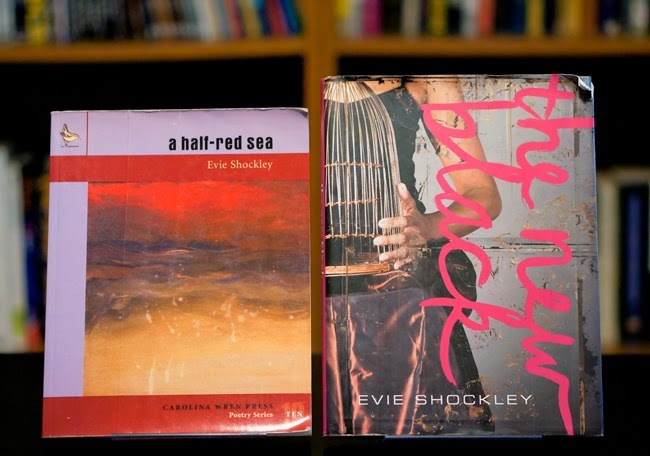 Shockley's a half-red sea (2006) is 8.7 x 6.8 inches and the new black (2011) is 9.6 x 7.2 inches. The size and shape of Shockley's books accommodate the designs of her poems, some of which spread far out across the page.